The master's thesis defence was held on December 14,2015. 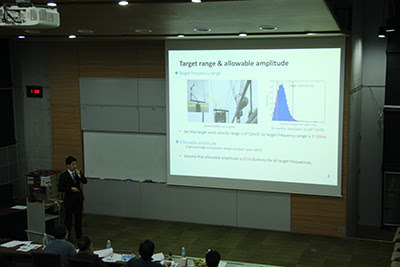 In our laboratory, Min Kyu Bang had participated to present his thesis and successfully finished the defence. There were total number of 4 students who had announced their thesis on that day. Thesis's title is as follow. 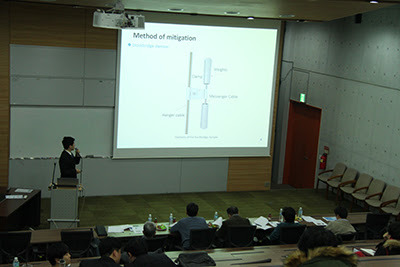 Min Kyu Bang, "Mitigation Effect of Vortex-Induced Vibration of Suspension Bridge Hangers with Stockbridge Dampers"